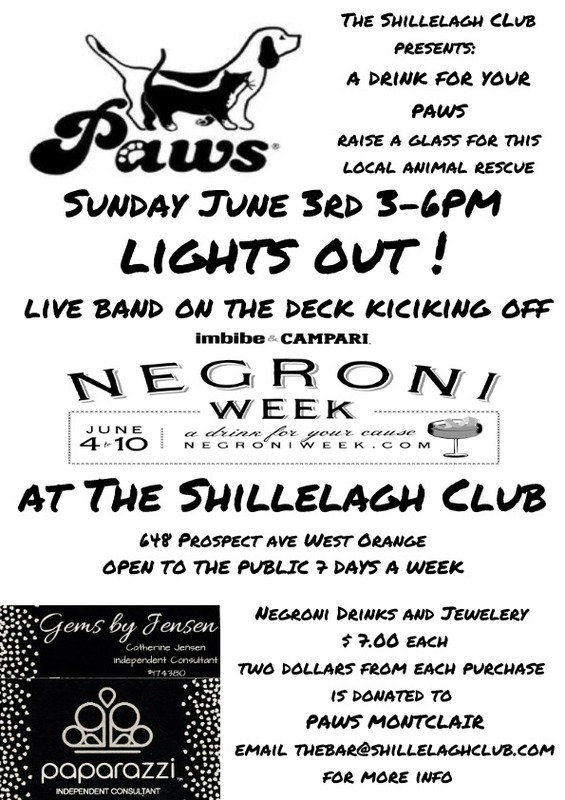 The Shillelagh Club at 648 Prospect Ave in West Orange is participating in Negroni Week: A Drink for Your Cause – and they have chosen PAWS Montclair as their cause. 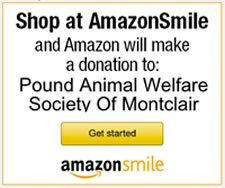 From June 3 – June 10 they will be selling Negronis and other campari based drinks and $2 of each drink will be donated to PAWS Montclair. Sunday June 3 from 3-6PM there will be a band ‘Lights Out’ kickoff party. At this party both paparazzi jewelry as well as drinks will be sold, with $2 of all sales going to PAWS Montclair. Please come out to enjoy while supporting PAWS.